There’s nothing quite as satisfying as a big, tasty Chili Con Carne Burrito. It all starts with a deliciously soft Tortilla then add spicy beef, beans and rice. 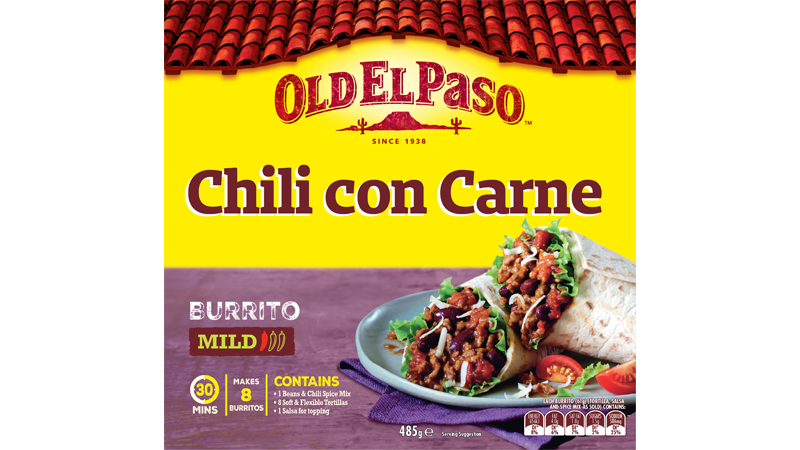 Our Chili Con Carne Burrito Kit contains 8 flour Tortillas, Chili Spice Mix and Mild Mexican Bean Salsa so you have everything you need to enjoy this spicy Burrito favourite at home. Plus our kits now include our new and improved tortillas, which are even softer and more flexible than before!